Witches, witchcraft, good witches, bad witches, white magic, black magic… the stuff of books and movies, right? But there are places today where witchcraft is still incorporated into the culture and everyday life of ordinary people. Witchcraft is very common in many cultures on the African continent. 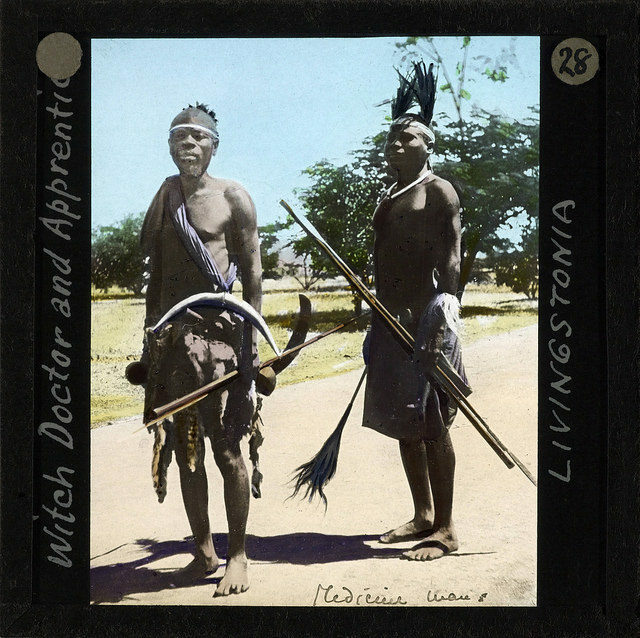 The practices of self-proclaimed doctors, the belief that a person can change the outcome of events only because of the supernatural powers they possess, were labeled witchcraft by the colonialists when they arrived. In certain areas, these beliefs are stronger than organized religion, then and now. They might not fit our definition of witchcraft, but there is no other word that translates the magic that happens in Africa. 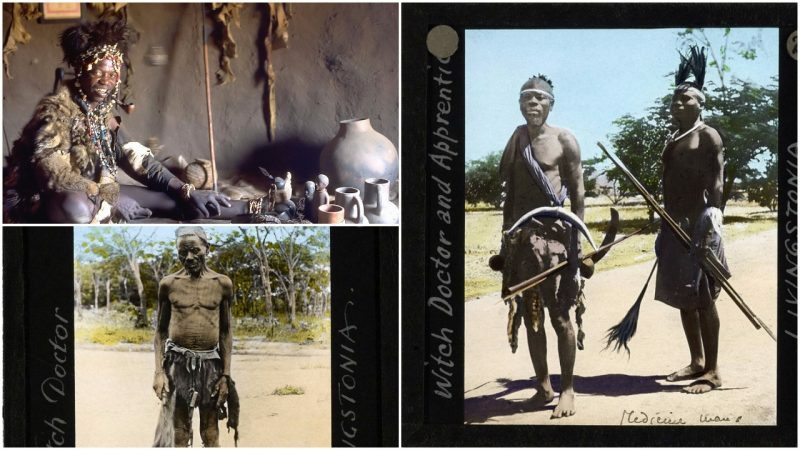 Although it exists in different places in Africa, witchcraft is most evident in Tanzania. 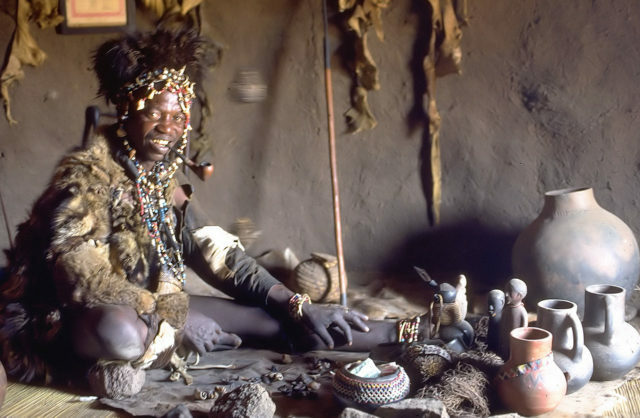 There are more than 75,000 witch doctors who are actually registered in the country, known as Babu. They don’t possess cauldrons where they prepare magic potions, neither do they wear pointed hats. Witch doctors are people who became “healers” after being visited by spirits. Almost every village in Tanzania has its own Babu who lives separately from the others, in a hut that is away from the community. Although these healers possess a profound knowledge of the local plants and herbs, their healing is always grounded in the supernatural. The Babu, who can be a man or a woman, is the first aid, ambulance, doctor, and specialist for any physical or psychological abnormality. Even when more modern medical assistance is necessary, the people first seek advice from their Babu, whose diagnosis and treatment are usually a result of dreams in which the Babu is visited by ancestors or spirits. They are especially respected in their communities for this connection with the spiritual world. 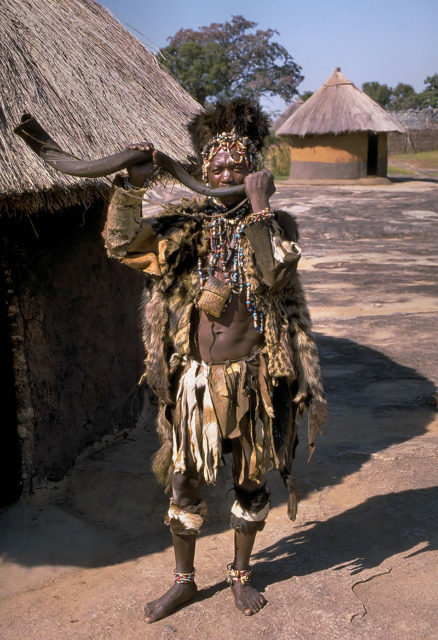 According to research carried out in 2010 by the Pew Research Center, during which 25,000 face-to-face interviews were conducted in 19 African nations, 93 percent of Tanzanians said they believe in witchcraft. In an interview for Al Jazeera, a witch doctor named Manyaunyau, who gave up his jobs driving buses and fish gutting, explains how he changed his name and became a doctor. He said that in the time of elections, witch doctors are particularly respected as almost all politicians visit them seeking witchcraft to help them win. 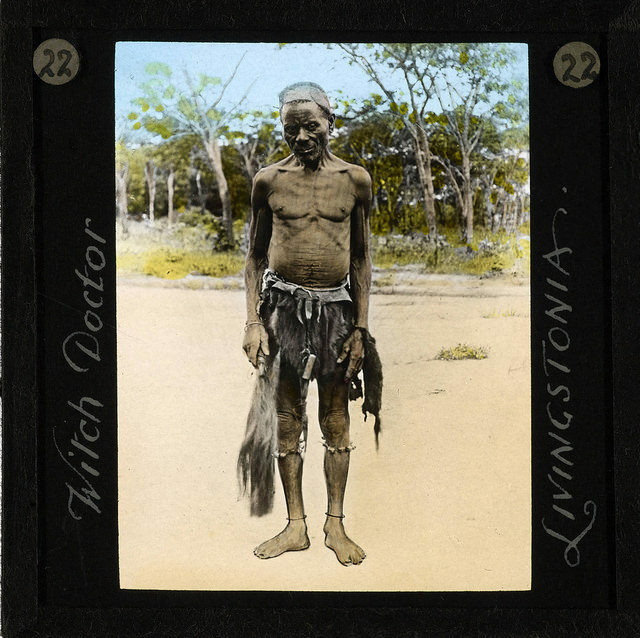 Besides the healers, there are many people in Tanzania suspected of practicing witchcraft. Everyone fears witchcraft. It is an essential part of the home education for children to beware of it. They are not supposed to go to their relatives who are suspected of being a witch and tend to avoid any person who is thought to perform it. Whatever change occurs, whenever things turn out differently than expected, whenever someone falls ill, whenever an accident happens, it is due to witchcraft. There are many people who have been blamed for witchcraft. Misfortune has befallen them after the slightest thing they might have done to arouse suspicion. And they are rigorously punished. In an article in The Guardian by a Tanzanian lawyer, witchcraft is explained as the underlying premise in many cases. And unlike those who believe that education is opposed to witchcraft, this lawyer with a university education believes in the existence of witchcraft and highly respects it as a part of his culture. The lawyer had a case in which a woman had one arm chopped off at the elbow and was left almost blind because she was accused of witchcraft. She was a newcomer to a village where the crops had started failing, so the villagers got mad at her, believing that she was responsible. Her family turned to the courts seeking legal redress, but as the lawyer explains in the article, dealing with law and witchcraft at the same time is very complicated. Another serious problem in Tanzania is the hunting of people with albinism. It is believed that albino body parts bring great wealth, so people with the condition are constantly in fear for their lives. They are forced to leave their homes and move to the bigger cities to save themselves from being killed. Witchcraft is incorporated into the daily lives of both Muslims and Christians. From the outside, people tend to see it as a negative. 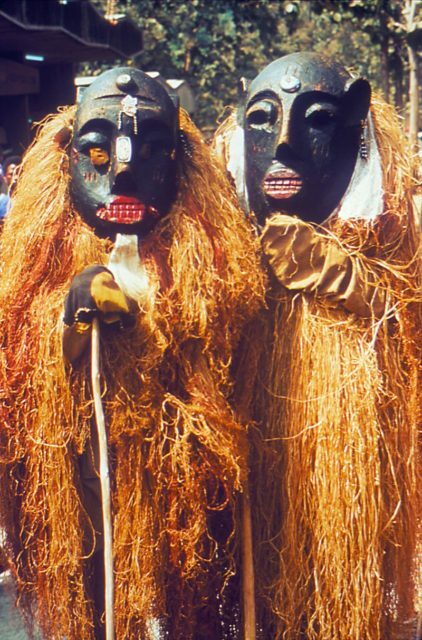 But in fact, even though Tanzanians fear it and it is the reason for much unreasonable behavior, witchcraft is an integral part of the culture.